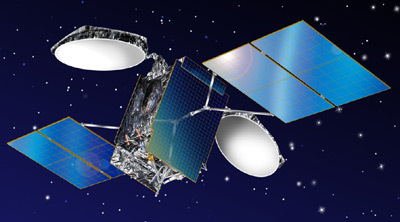 Lockheed Martin has been awarded in May 2006 a contract by Vietnam Posts and Telecommunications Group (VNPT) of Vietnam to provide a turnkey telecommunications satellite system with operations slated to begin in the second quarter of 2008. Financial terms were not disclosed. Designated VINASAT-1, the satellite system will be based on Lockheed Martin's award-winning A2100A spacecraft platform and represents the first satellite system ever procured by the nation of Vietnam. VINASAT-1, a C-/Ku-band hybrid satellite designed for a minimum service life of 15 years, will be located at orbital slot 132 degrees east. Under the terms of the delivery-in-orbit contract signed 12 May 2006 in Hanoi, Lockheed Martin Commercial Space Systems (LMCSS) will manage the project in its entirety, from satellite design and manufacturing to launch procurement arrangements, followed by final extensive in-orbit testing before customer acceptance. The satellite system is expected to improve telecommunications in Vietnam by transmitting radio, television and telephone communications to all corners of the country. VINASAT-1 also will improve the nation's communication networks infrastructure by removing dependence on ground networks and allowing 100% of Vietnam's rural communities and hamlets to be equipped with telephones and televisions.